Knots are used for building, securing, hooking, stabilizing, and more. They hold shoes together, fasten a fish hook to a line, and secure a boat to a dock. They are even used to hold a shirt collar together, if you count a Windsor knot on a tie! 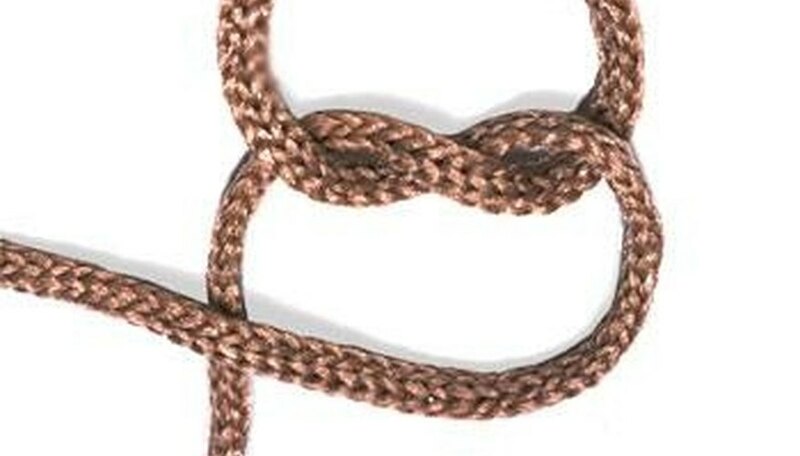 Knots are an important tool, and although there are many kinds of knots, some are used in more situations than others. Read on to learn to tie the most well-used and widely known knot, the Square Knot. You might be familiar with it already, as most people use a variation of it to tie their shoes! Obtain two pieces of string, yarn or rope that are the same diameter and length. 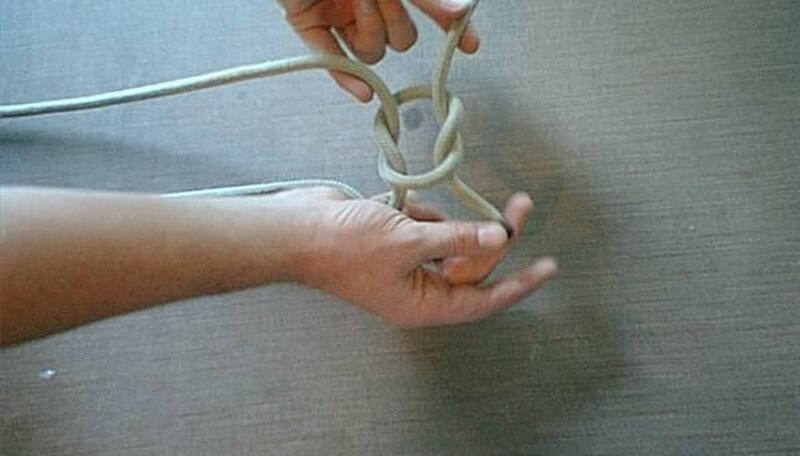 Hold the end of one in your left hand (we will call this rope A) and the end of the other in your right hand (rope B). Take rope A and bring it over the top of rope B, forming an "X" shape. Then, wrap A around B, moving to the right, just like if you were tying your shoes. Look at your ropes. Rope A should be poking out on the right side, and rope B should be on the left side. They should be the same length. Take rope A and cross it over the top of rope B again, forming another "X". There should be some space between the first "X" and the second. Wrap rope A around rope B again, this time moving to the left. Pull on the ends of the ropes to tighten it, and you are done with your square knot! Make sure you switch directions between steps 2 and 5. Otherwise, this knot will end up being a Granny knot, which is how most people tie their shoes. It is not as strong as a Square knot. Do not use this knot for carrying a heavy load! It is not strong enough and may slip.